In releasing FY 2014/15 results, Safaricom CEO Bob Collymore stated that nearly 42% of Kenya’s GDP was transacted using the mobile money service. This underscores the importance of the service, which has gone on to evolve to offer micro-loans through M-Shwari and KCB M-Pesa account. The service also allows for merchant payments through Lipa-na M-Pesa. In its commentary on diaspora remittances in Kenya for the month of December 2015, the Central Bank of Kenya noted a growth of 8.4% in remittances in 2015. North America dominated by source regions, accounting for 49.6 percent of total inflows in December 2015 and recording growth of 10.1 percent. Inflow from Europe increased by 15.6 percent. Remittances from the diaspora is about to get easier as PayPal account holders can now send money directly to M-Pesa. This will take place through Xoom, a paypal service that allows for sending international money transfers. The announcement was made at the Mobile World Congress in Barcelona. At the same time, Vodafone, which owns 40% stake in Safaricom announced a partnership with TransferTo, a Singapore based remittance firm to provide M-Pesa transfers. TransferTo has a presence in 100 countries, partnerships with over 1,000 financial institutions and 400 mobile operators. This gives the company access to over 4.5 Billion users, which may see many of them using M-Pesa. Other services that allow users to transfer funds directly to M-Pesa include Western Union, which partnered with Safaricom in 2011 to allow users send money directly to M-Pesa accounts. Money gram and World Remit also allow users to send funds to M-Pesa accounts directly. The service will not only benefit those in the diaspora but also makes payments for goods and services easier. Next articleWill 2016 be the Year We See the Android App Drawer Die? We have been for that…Hope to see more partnerships that will make transactions easy. When will it start? Does that include PayPal to Lips na MPesa too? What do you mean? LipaNaMpesa is a service within Mpesa!??????? That if I have a business here offering a service/good..can a client who is abroad pay straight from their PayPal a/c to the paybill no. ? No, Mike. You are the one who can withdraw money from your PayPal account into your mpesa registered number and which you will declare to payment as your mpesa registered number. For example, Equity Bnack entered a similar deal with PayPal and now I can withdraw my PayPal money straight into my Equity Bank account at a fee. Your clients abroad can choose one mode of paying you. If they want to pay you via PayPal, they can pay and if they want to pay you using mpesa, they can still pay because that service is there in the UK and America. But any money paid to you viar PayPal is your responsibility to choose whether you want to put into mpesa or take it from the bank if you have an account with Equity. How does one go about executing a withdrawal from ther PayPal account to their Mpesa account without using Equity Bank or these ubiquitous brokers? I always get paid via PayPal, I rely on equity to withdraw the cash. Does this mean I can send the cash direct from my PayPal to mpesa number? the deal was implemented from the Vodafone side of things. Through Vodafone Sales and Services Ltd (VSSL), Vodafone owns proprietary rights to the M-Pesa platform and earns service fees accrued from the use of the mobile money transfer solution. So, I guess in due time implementation will begin from the Safaricom said of thing. Apparently Xoom has cancelled its services in Kenya. It’s no longer an option on their website. I want to transfer money to Paypal from MPESA. i cant see any option yet. why is that so… one year down the line with nothing? 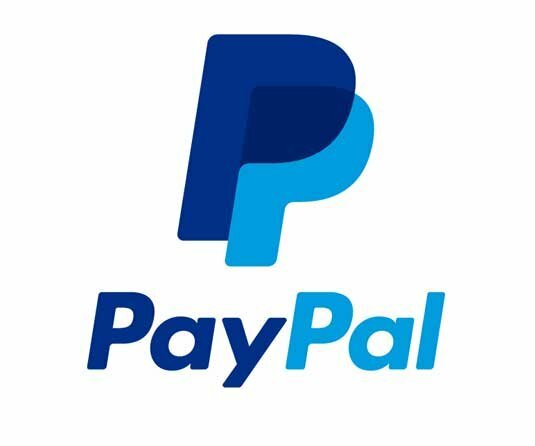 Hi, currently I can’t find Mpesa option in my PayPal account. I read my fellow members opinions and complaints about PayPal – mpesa money transfer, seems like this problem have not been addressed since last year,what steps have you guy’s taken and for how long should we wait?